Are these photos blurring the line between public and party business? 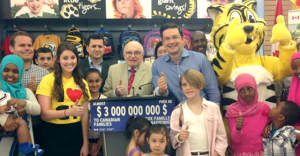 At least four unelected Conservative candidates joined Employment Minister Pierre Poilievre on Sunday at an official Government of Canada event held in the children’s section of discount store Giant Tiger (founded by the father of Conservative MP Scott Reid) to promote the government’s Universal Child Care Benefit. 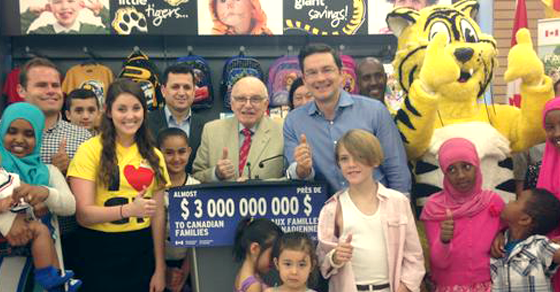 Well, Poilievre was there, as well as a 7-foot tall tiger. Ottawa-Orleans Conservative MP Royal Galipeau was there. That’s understandable – Galipeau actually is an elected official, so he has a legitimate reason to be there. 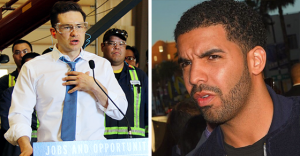 Wang, a former aide to Poilievre, recently came under fire from members of his own party after winning the nomination to represent the riding next door to Poilievre’s own Nepean-Carleton riding. 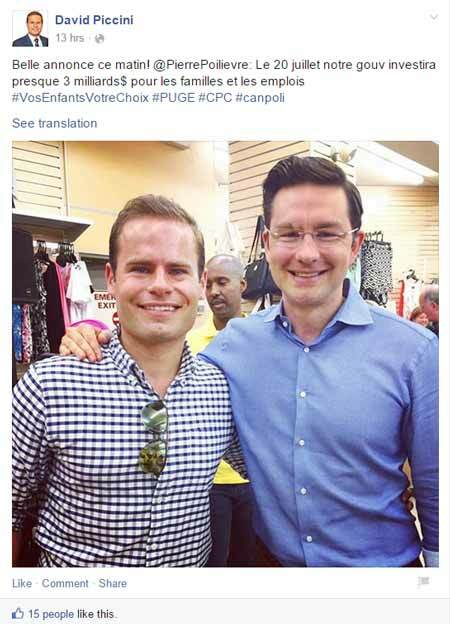 But despite all these photos of Poilievre, Conservative candidates and Giant Tiger’s mascot now floating around the Internet, those candidates are curiously absent from the official photos Employment and Social Development Canada (that’s Poilievre’s department) posted Monday morning. Was ESDC trying to avoid repeating the same mistake they made the last time, when the department posted — then deleted –a picture of Conservative candidates attending a taxpayer-funded government event promoting the Universal Child Care Benefit? June’s job numbers are in.